The nonprofit Stamford 2030 District will host its Change Makers Awards ceremony to recognize environmentally sustainable buildings and projects. The event, set for Wednesday, will focus on the Stamford 2030 District’s second established year and highlight sustainable projects and buildings throughout southwestern Connecticut. Formed in 2014 by the Connecticut Fund for the Environment and the Business Council of Fairfield County, Stamford 2030 works to bring private-sector firms together to reduce energy use, water use and transportation emissions. Michael Berkowitz, CEO of the Rockefeller Foundation’s 100 Resilient Cities program, will give the keynote address. The Atlantic (New Neighborhoods Inc.) in Stamford has completed major renovations on its downtown property, including the replacement of HVAC equipment and installation of LEDs, with an energy reduction of 25 percent since July 2015. Seven Building Solar Project (Diamond Properties) is a regional solar project that has so far produced seven megawatts of solar-generated power across seven buildings, including the largest rooftop solar energy array in Westchester County, N.Y. The final project is expected to provide more than 10 megawatts from panels across 44 properties, including 1351 Washington Blvd. in Stamford and the LaQuinta Inn in Danbury. Clinton Manor (Charter Oak Communities), of Stamford; Stamford Town Center Lighting Project (Taubman Properties); Sustainable and Locally Sourced Catering (Seasonal Sweets and Catering), of Derby. 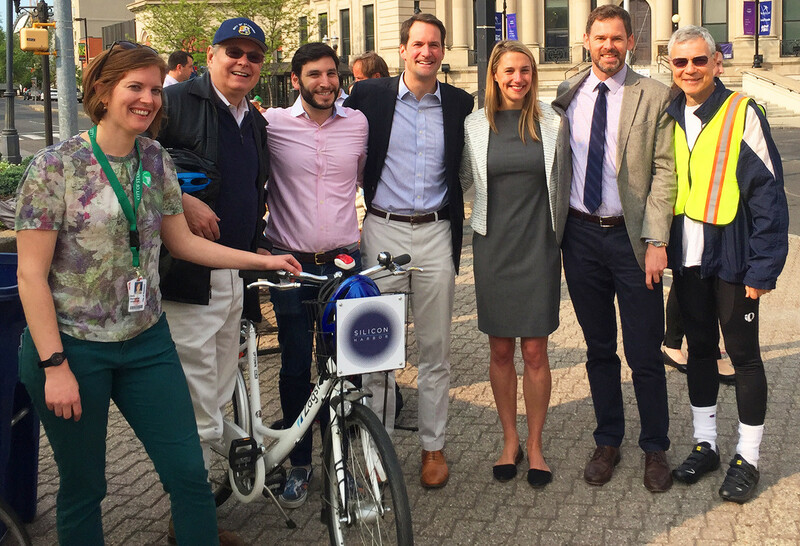 Harbor Point Bike Share Pilot (Building and Land Technology), of Stamford; Crescent Crossings (JHM Group of Companies), of Bridgeport.